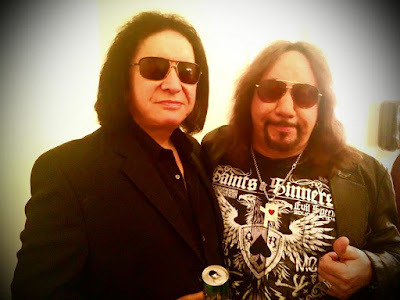 Original KISS members Gene Simmons and Ace Frehley will reunite for the first time in 16 years when the guitarist joins his former bandmate for a performance at The Children Matter Benefit Concert at CHS Field Stadium in St. Paul, MN on September 20 in support of victims of Hurricane Harvey. The Children Matter is a collaborative initiative created by Simmons and the nonprofit Matter on the simple belief that the lives of children matter. Regardless of race, income, gender, religion, or location every child deserves the same access to a full and healthy life. Right now, there are over 10,000 children and families in Houston, TX still living in shelters, displaced from their homes and in need of food and basic daily necessities immediately. In partnership with their on-ground Houston partners, Matter is sending and distributing Matterbox Meals Kits, sanitation supplies, contamination prevention supplies, and more. Alongside the Gene Simmons Band and Frehley, The Children Matter Benefit Concert will also see performances by Don Felder, Cheap Trick, The Jayhawks, and Flipp. The guitarist recently confirmed that he and Simmons teamed up for a songwriting session that resulted in two tunes now under consideration for the project.